This little pixie wishes to bring you joy and happiness this holiday season! Based upon artwork by Amy Brown, the fairy wears a red-and-white striped outfit accented in green. 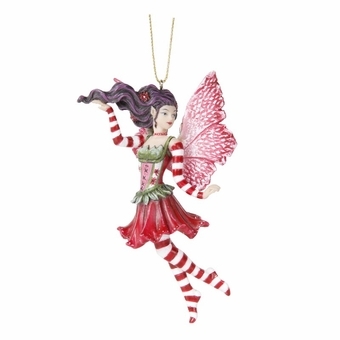 She'll dance gracefully through the branches of your Christmas tree, or anywhere else you choose to hang her! 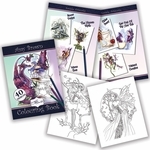 A wonderful gift idea for a pixie lover.